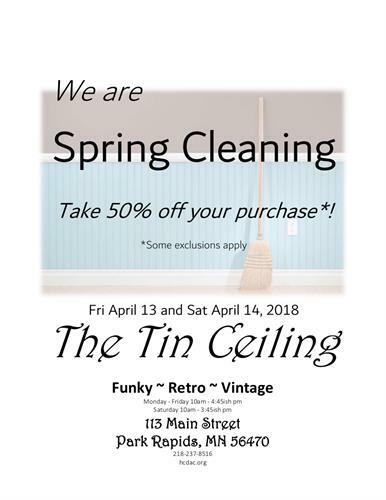 The Tin Ceiling Weekend Sale 50% off!! Name: The Tin Ceiling Weekend Sale 50% off!! We are Spring Cleaning! Get 50% off your purchase this weekend! !